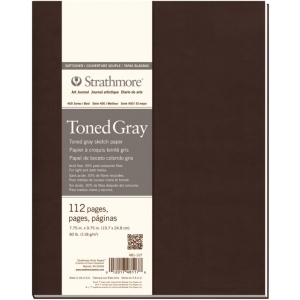 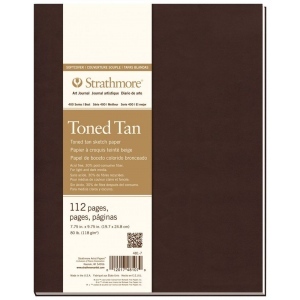 Toned sketch paper is 100% recycled and contains 30% post-consumer fiber. 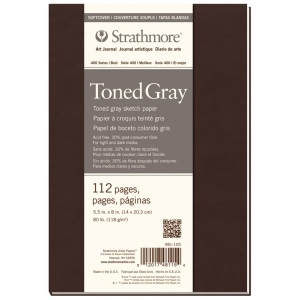 * Medium surface for graphite chalk charcoal sketching stick markers china markers colored pencils pens and white gel pens. 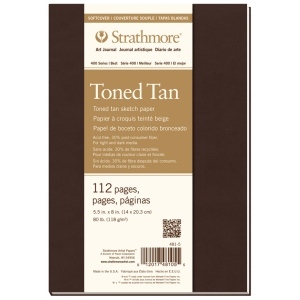 * Velvety soft cover in rich dark brown with Smyth-sewn binding to allow book to open wide and lay flatter.